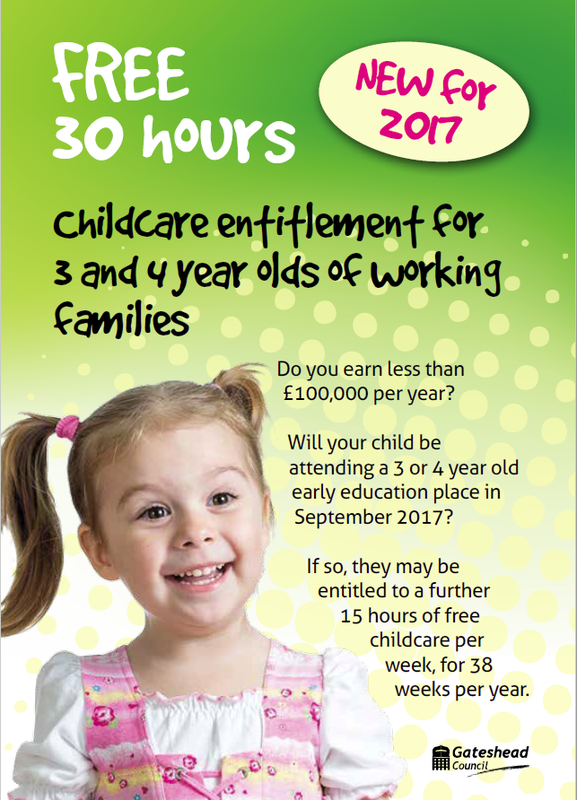 The Governing Body has agreed we shall be offering the extended entitlement of 30 hours free childcare for eligible families from September 2017. The application process for the scheme is not yet available, however, you can check your eligibility at http://www.childcarechoices.gov.uk. You can also register an email address to be informed when the application process will become available, at which point you will be sent everything you need to sign up straight away. In the meantime, we have arranged an informal drop-in session for parents/carers to come and have a chat about the provision and ask any questions you may have. This will be held in school on Thursday 27th April 2017 from 3.30pm to 6.00pm. We hope to see you there.